Once a child turns three, they’re beginning to develop into their own person. They will begin to have more; complex thoughts, specific interests and a greater sense of control in terms of their body. At the age of three, your little girl is most likely curious and eager to learn. Curiosity will fuel her imaginative mind. Once your little girl turns three, imaginative play begins to peak. It is important to encourage self-expression and learning, while having fun. It is very common for 3 year old girls to dress up, pretending as though they’re someone else. As well, balance and coordination will have improved by age 3. This means that more interactive learning and playing becomes possible. It is important for your little girl to become familiar with her physical and social world. The following are gift ideas for 3 year old girls. Sylvanian Families are wonderful 2 storey home 2 real working lights and furniture inludes’ dressing, nursery room set and Freya the Chocolate Rabbit Girl. Sylvanian families is a unique and adorable range of distinctive animal characters with charming and beautifully detailed homes, furniture and accessories. 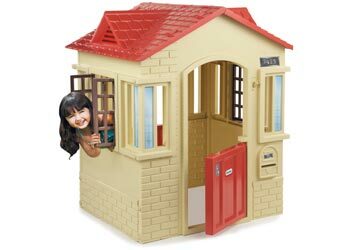 This Step2 playhouse allows your 3 year old to express herself, and let her imagination sore. This cottage can be used indoors or outdoors, providing a versatile playing area. Due it’s large interior space, multiple children can play together; mimicking adults. They may simply play using their imagination, clean with their play broom or talk on their play phone. There’s even a mail slot and a doorbell, for maximum fun and realism. There’s a pretend kitchen inside, so they can pretend to whip up a meal for their friends or family. 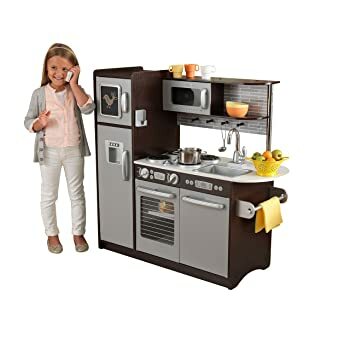 This KidKraft kitchen is on the list of best gift ideas for 3 year old girls, because it allows them to mimic their mother’s. They love pretending to be mommies to their baby dolls and they especially like to pretend they are little cooks in the kitchen. This is an amazing resources for imaginative play. It has a sleek, modern look; allowing your 3 year old to feel like she’s cooking. Some of the main features are; refrigerator, freezer, microwave, oven, dishwasher, cordless phone, paper towel holder, chalkboard, removable sink, speckled countertop design and many further detailing. With all these features, she’s sure to stay entertained for hours. As well, it is large enough for her to play with friends or siblings. Once again, promoting a social environment is a great idea for your 3 year old. It is a solid wood play kitchen that your child will have plenty of time and room to grow into. And I love the little details of the kitchen: doors that snap shut, clicky knobs, faucet handle that turns, functional paper towel holder, mini chalkboard, and handset for the wall telephone. Assembling will take long at least 4 hours, so be prepare for it. A doll house is one of the most beautiful gifts you can give to your three old girl as it will give her many hours of entertainment and fun. This one-room, single-storey soundly-built wooden dollhouse. It is perfect toy for taking on your travels as it boasts a carry handle on the roof. 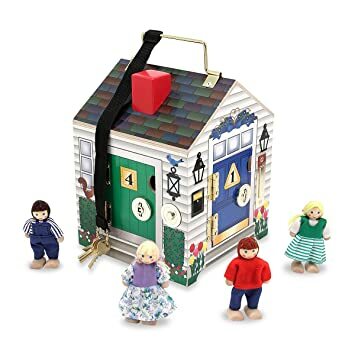 Four electronic doorbell sounds, four unique locks with matching keys, and four pose-able play people are included with this doll house. All four sides of the doll house have a hinged door with its own lock and key and battery-operated doorbells. Being a classic from the Little Tikes range, this great car that has stood the test of time is one of the top kid’s toys on the market. It is a beautiful piece of play equipment by itself. There are many new designs and ‘add-ons’ which your three year old daughter will love but it is just perfect all by itself. 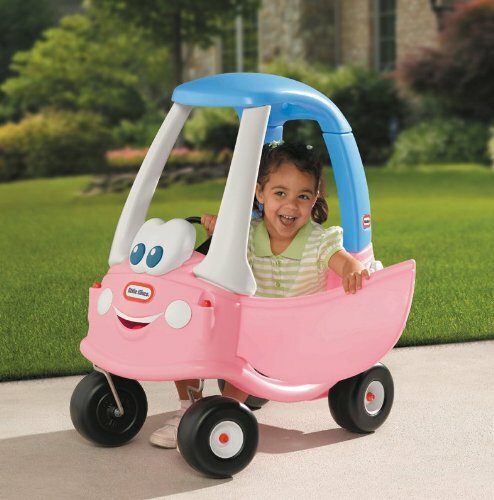 The classic Cozy Coupe car features colours and styling specially designed to please every little princess.